Making Waves was born back in the Summer of 1994 when an 18-year old Tiernan Murphy taught 50 kids to swim in his parents’ backyard. Back then, his focus was to ensure that the kids were having fun and that the parents were seeing progress. Now the Owner and Founder of Making Waves, the same core value stands: “Kids have fun – Parents see progress.” This is the story of Making Waves Swim School. Before his own business, Tiernan had taught swimming lessons at the City of Brampton since the age of 15, but that Summer his Mom encouraged him to start teaching in their backyard. It wasn’t a sophisticated business – the first MWSS families communicated through Tiernan’s home phone and dropped lesson payments into his parents’ mailbox. However, it gave Tiernan the freedom to focus on what mattered most to him – his student’s making progress in the pool. Tiernan was so excited by the positive responses and feedback from his backyard pool business that he continued teaching the following summer. He hired a friend and began renting space in other friends’ backyard pools in Brampton, Georgetown, and Oakville. “I paid my way through the University of Guelph during those years, graduating with a Bachelor of Science in Kinesiology in 1999,” said Tiernan. His original aspirations of going into medicine? 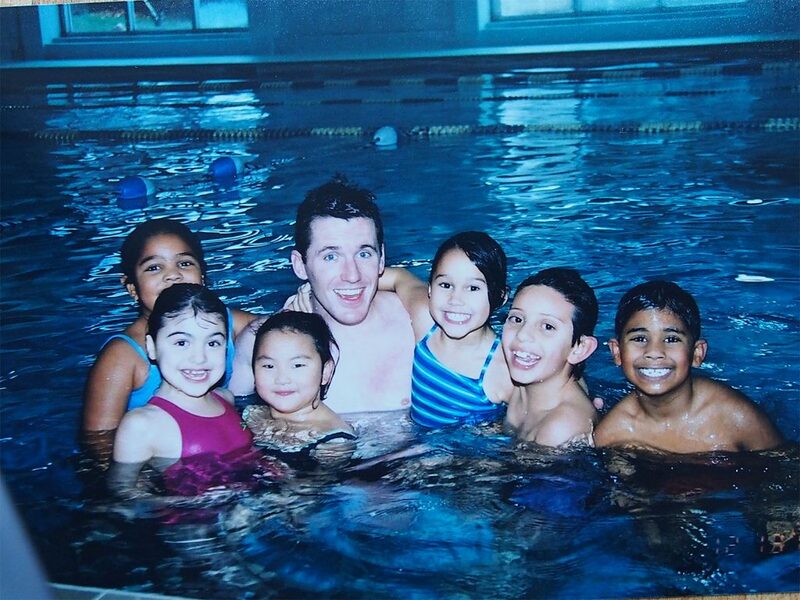 Replaced by the joy and success he experienced while teaching swimming lessons. 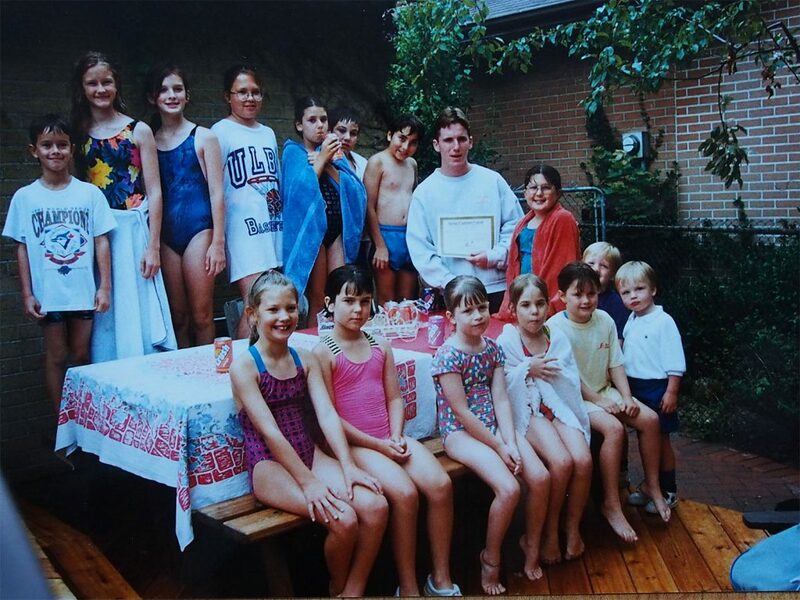 It was after he graduated from university that Tiernan taught swimming lessons year-round, and a year following he had found a fitness club in Brampton that was willing to rent out half the pool. “It was here that Making Waves Swim School first began offering indoor lessons year-round to Brampton families, and here that our teaching and training systems were refined through best practices learned over the thousands of hours I had spent teaching in the water,” said Tiernan. Twenty-five years later, Making Waves has expanded from Brampton to include locations in Milton, Mississauga, and Vaughan. Among the various locations, Making Waves staff teach over 6,000 students per week in learn-to-swim programs. Making Waves Swim School remains family-owned and operated, and is proudly Canadian. Are you ready to join our family? Start Making Waves with a Free Assessment!